It is easy to be angry, even outraged at the Democratic National Committee’s (DNC) “neutrality” in the wake of the mass of leaked internal emails. And there is definitely justification for that. The tones taken by DNC members when referring to Bernie Sanders’s campaign are not unlike those one would use when gossiping about a particularly obnoxious co-worker or acquaintance. So much for the organization’s claims that it would not pick sides. Nevertheless, the biggest mistake the DNC made was not to send those emails, harbor anti-Sanders sentiments or even to field advice from members of the Clinton team. It was to announce they were going to be neutral. Before 1968, primaries in the United States were largely for show. Sure, they gauged public opinion of which candidate was most well-liked. But in the end, the candidate to go on to the general election was always selected by delegates at the national convention, and they were free to vote for whomever they wished. Was that actually a democratic system? Perhaps not true democracy, the like that would be recognizable to its Greek originators. 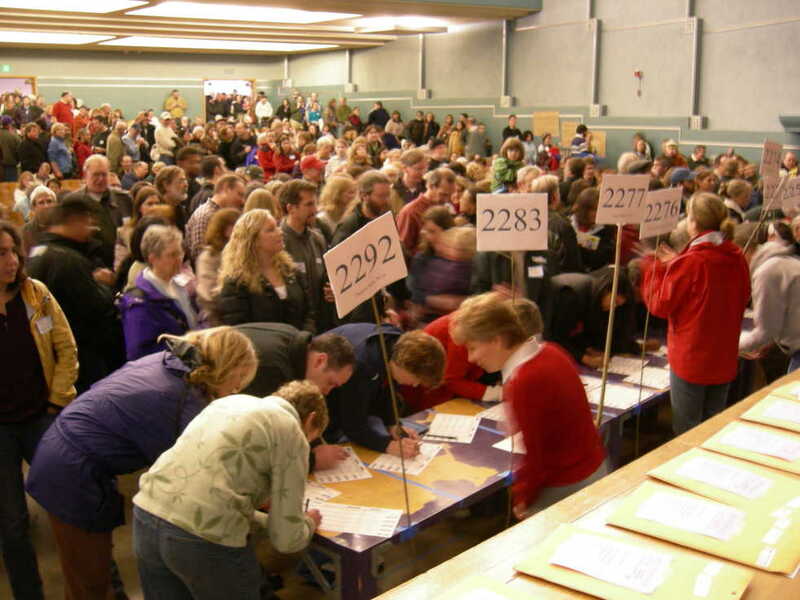 However, regular citizens still were able to cast their ballots in the general election, and those delegates at the national conventions who did select party candidates were technically representatives. So, in a sense, the DNC would have been the exact opposite of neutral; they were the people actually deciding the nominee. Yet in those days, the process for selecting the party’s candidate for eventual general election was usually lacking in transparency of any kind. The primaries were the song-and-dance of the political season. In present times, that has been reversed. The convention is now the showy big event, and primaries are what really matters. Shortly following the fiasco at the 1968 Democratic National Convention in which Hubert Humphrey was selected as the candidate for president without winning a single primary, binding primary elections became the status quo across the nation. They have remained that way ever since, but the variable factor has been the role of the national parties in the election process. Immediately after binding primaries went into effect, the influence of parties dropped off sharply. They no longer had explicit say in who would be the eventual nominee. At the same time, the influence of modern media like television and internet was relatively small. It steadily grew throughout the remainder of the century, and now we live in a world where people are bombarded with partisan rhetoric everywhere they go. So what does that have to do with political parties? Over the same course of time that media was becoming more crucial to the political cycle, a growing amount of money was needed to fund more commercials, radio appearances, etc. And what organizations had the motivation, recognizability and mobility to organize funding on that level? The political parties, of course. As such, the ball of influence appears to once again be rolling toward the parties’ side of the table. This is fine. The powers to select the President and the Vice President still rest in the hands of the populace, a win for democracy that had not yet been taken the last time parties held major sway. Even so, parties should not be afraid of publicly endorsing one prospective candidate over another. They are no longer holding the reins to the selection process, so in this past election cycle, an endorsement of Clinton would only have confirmed what everyone already suspected. Of course, the Democrats still have superdelegates, who do somewhat devalue the primary elections. They were implemented shortly before the 1984 elections, following a few election cycles that critically failed due to insurgent candidate selections. But even then, Democrats didn’t take the presidency until 1992. It invites the question, is the prospect of possibly winning more often better than more properly articulating the voice of the people? Is it better to have a one in ten shot at winning $10,000 or a one in five of winning $5,000?